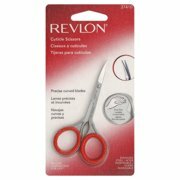 Product - Straight Tip Manicure Nail Scissors 4.5"
Straight Tip Manicure Nail Scissors 4.5"
Product - OH FASHION Beauty Set: Cosmetic Bag, Make up organizer, Manicure Set,Nail Clipper, Cuticule Trimmer, Cuticle pusher, nail scissors, tweezers (2pcs) and Mini Nail File Vintage Queen style (4pcs). OH FASHION Beauty Set: Cosmetic Bag, Make up organizer, Manicure Set,Nail Clipper, Cuticule Trimmer, Cuticle pusher, nail scissors, tweezers (2pcs) and Mini Nail File Vintage Queen style (4pcs). 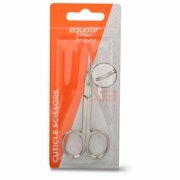 Product - Cuticle Nail Scissors Stainless Steel 3.5" Manicure Pedicure Nose Facial Hair !! Cuticle Nail Scissors Stainless Steel 3.5" Manicure Pedicure Nose Facial Hair !! Product - OH FASHION Beauty Set Royal Dress: Cosmetic Bag, Make up organizer, Manicure Set, Nail Clipper, Cuticule Trimmer, Cuticle pusher, nail scissors, tweezers (2pcs) and Mini Nail File style (4pcs). OH FASHION Beauty Set Royal Dress: Cosmetic Bag, Make up organizer, Manicure Set, Nail Clipper, Cuticule Trimmer, Cuticle pusher, nail scissors, tweezers (2pcs) and Mini Nail File style (4pcs). Product - OH FASHION Beauty Set: Cosmetic Bag, Make up organizer, Manicure Set,Nail Clipper, Cuticule Trimmer, Cuticle pusher, nail scissors, tweezers (2pcs) and Mini Nail File Rome style (4pcs). OH FASHION Beauty Set: Cosmetic Bag, Make up organizer, Manicure Set,Nail Clipper, Cuticule Trimmer, Cuticle pusher, nail scissors, tweezers (2pcs) and Mini Nail File Rome style (4pcs).